John McGuinness is simply the god of TT racing. A complete legend of the sport who holds the mindblowing record of an amazing 23 wins round the Isle of Man track. 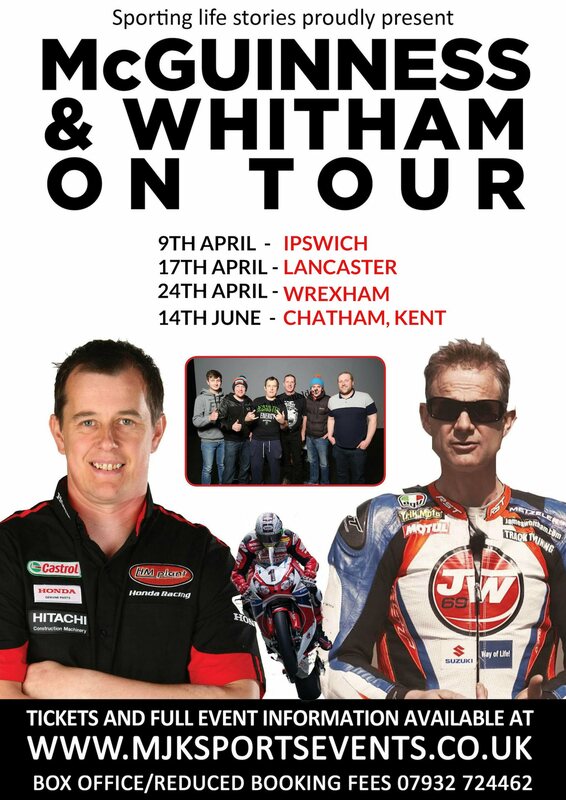 Following events and rave reviews in places like Aberdeen and Hereford and everywhere in between we thought it was about time we took the event on the road again and on June the 14th at the LORDSWOOD LEISURE CENTRE CHATHAM you have the unique chance to hear everything from the man himself.